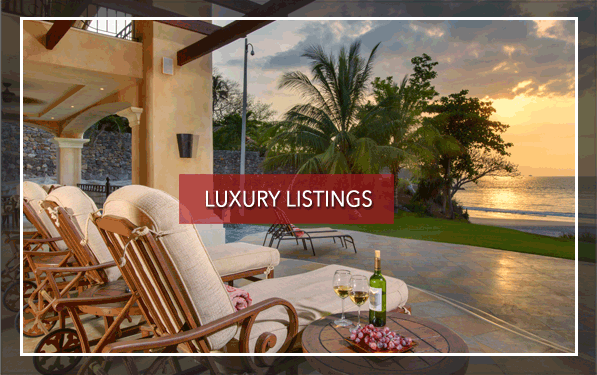 Are you looking for Costa Rica luxury homes? 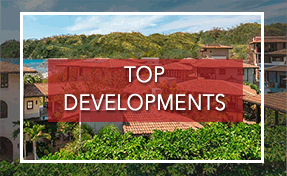 KRAIN Costa Rica is proud to offer some of the most spectacular properties on the market! 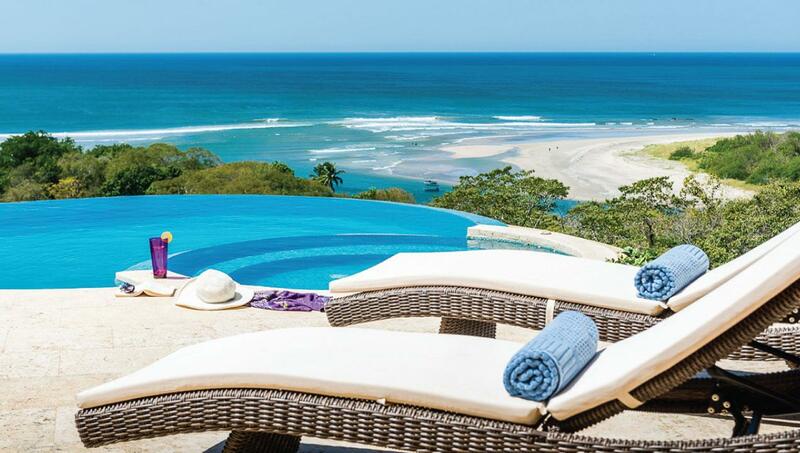 Costa Rica may be the most perfect location on the planet. Sure, we’re fairly biased because we live and work here. But then again, we live and work here because Costa Rica is idyllic. Maybe it’s the misty volcanic peaks reaching for clear skies, or the majestic waterfalls plummeting toward shimmering lapis pools that makes Costa Rica so special. 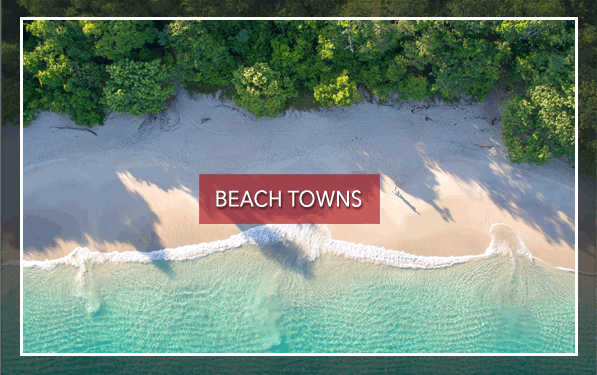 Perhaps it’s the myriad outdoor activities like rainforest hikes, biking, ziplining, world-class surfing and snorkeling, the many farm-to-table restaurants or the bourgeoning sustainable tourism that’s really the draw. Most likely it’s the Pura Vida way of life. Did you know in survey after survey, Costa Ricans rank as some of the healthiest and happiest people on the planet? That’s not a coincidence! 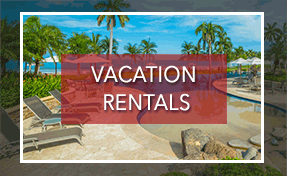 The truth is, if you’ve ever dreamed of living in paradise, Costa Rica will never disappoint. Imagine a life where you step out onto your balcony in the morning and spot a scarlet macaw swooping overhead. Or you pass a sloth snoozing on a tree as you make your way into the nearby village to pick up a delicious bottle of local wine. Here, your days are filled with what seems like effortless peace and your nights are filled with gentle breezes and starry skies. OUR PASSION IS REAL ESTATE. 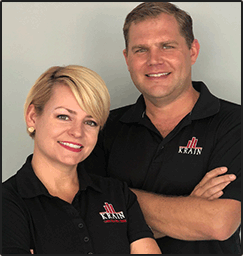 Our team is comprised of U.S. and Canadian licensed agents who have chosen real estate as their profession and value the high standards imposed by U.S. licensing requirements. KRAIN’s local reputation and expertise are backed by its selection as a member of Leading Real Estate Companies of the World,® a global community of over 550 real estate companies awarded membership based on rigorous standards for service and performance. 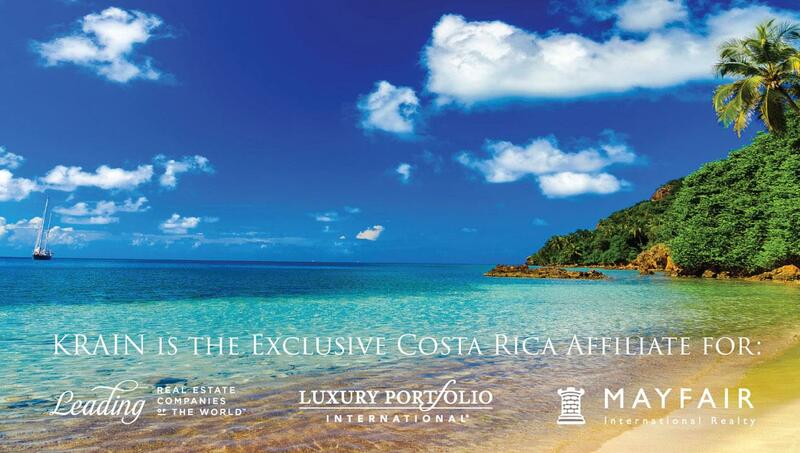 KRAIN is also the exclusive Costa Rica affiliate of Mayfair International Realty, a London based firm with a global reach. Simply put, we are the best at what we do. 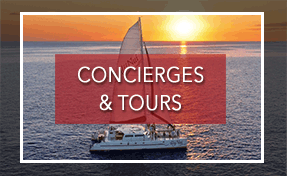 Our professionalism, knowledge, and high quality of service is the cornerstone of our unprecedented success and is our continued promise to you, our clients. 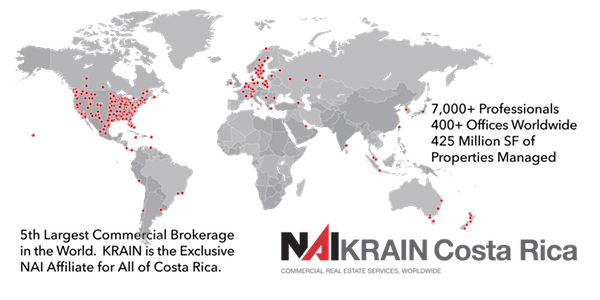 KRAIN is the exclusive NAI Global affiliate for all of Costa Rica. This is important to sellers of commercial property because annually, NAI Global completes in excess of $20 billion in commercial real estate transactions throughout the world. 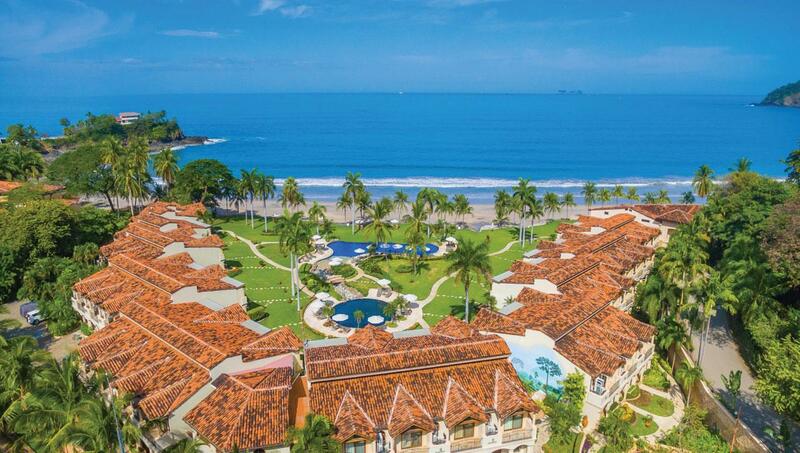 KRAIN’s recent affiliation with NAI Global has come together to capitalize on the potential of both brands and create a confident and powerful market presence in Costa Rica’s commercial real estate landscape. NAI Global offices are leaders in their local markets and work in unison to provide clients with exceptional solutions to their commercial real estate needs. 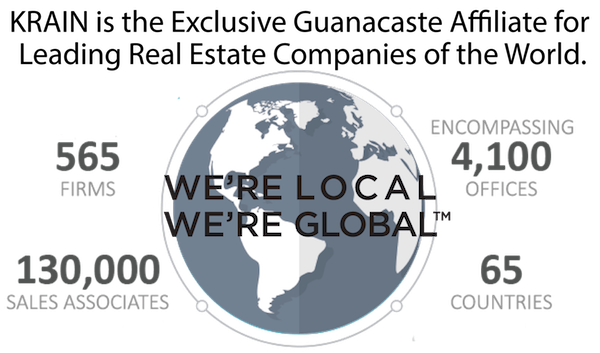 NAI Global has more than 400 offices strategically located throughout North America, Latin America, Europe, Africa and Asia Pacific, with over 7,000 local market professionals. 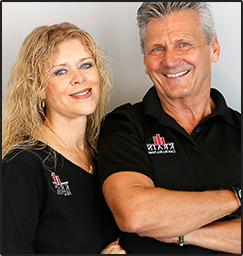 KRAIN Costa Rica was founded in 2014 by Peter and Sarah Breitlander. 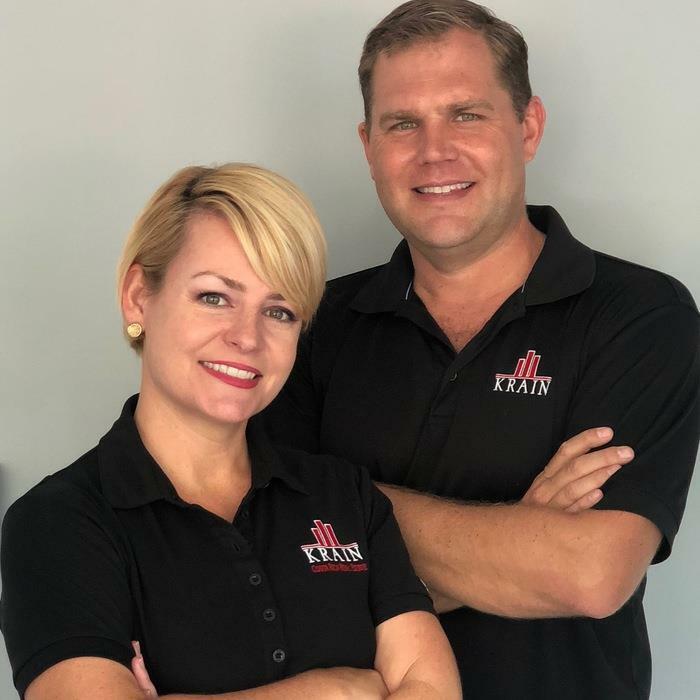 Peter Breitlander is a U.S. licensed real estate broker who has 16 years of expertise in residential and commercial real estate. Sarah Breitlander is a United States commercial litigation attorney who practiced law at a large Chicago law firm for over a decade before co-founding KRAIN Costa Rica. Peter Breitlander is the co-founder and co-owner of both KRAIN Costa Rica and KRAIN Chicago. 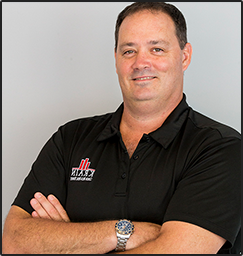 He is a U.S. accredited real estate broker with 16 years of experience, and he recently completed his 1000th real estate transaction. 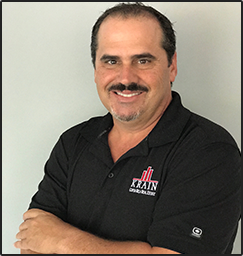 Peter was the managing broker for the KRAIN Chicago office from its inception in 2006 to 2014, when he founded KRAIN Costa Rica. 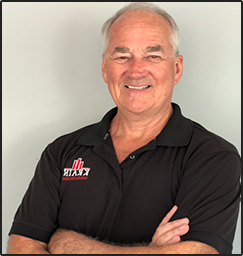 Peter has been honored repeatedly by the Chicago Association of Realtors for being in the top 1% all of realtors for transactions and sales volume. Peter was fortunate enough to receive this prestigious award every year from 2009 to 2013. 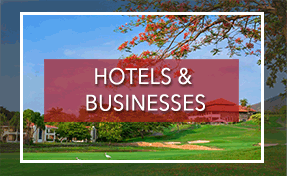 Sarah Breitlander is a United States attorney and founding partner of KRAIN Costa Rica. As a U.S. licensed attorney, Sarah brings her wealth of experience to KRAIN’s clients. Sarah practiced law for over a decade in the United States before moving to Costa Rica. Specifically, she practiced at a large Chicago law firm, where she counseled and represented clients in various commercial disputes. In 2012, Sarah was named among Chicago’s top “40 Under 40” Illinois attorneys to watch. For five consecutive years beginning in 2009, Sarah was named an Illinois “Rising Star” in Super Lawyers Magazine, a distinction reserved for the top 2.5% of Illinois lawyers who are under 40. She also served for over 10 years on the board of the Women’s Bar Association of Illinois (WBAI), and was voted President-Elect of the WBAI before her departure to Costa Rica. Sarah was also 2011-12 Chair of the Chicago Bar Association’s Commercial Litigation Committee, and was the youngest attorney to ever chair that committee. Sarah has also worked for various highly distinguished judges. She served as law clerk to the Honorable Anne M. Burke of the Illinois Supreme Court. In addition, she served as judicial extern to the late James H. Alesia and the Honorable Robert W. Gettleman, both federal judges in the Northern District of Illinois. Sarah received her Juris Doctor Degree from the John Marshall Law School in 2003. In law school, Sarah received numerous scholarships for her academic achievements, and was also a member of the John Marshall Law Review.